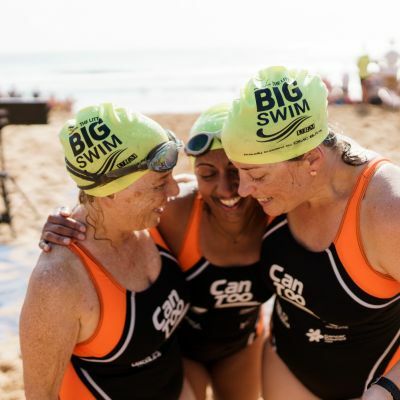 Can Too Swim is for people of varying fitness and experience levels who are able to train for their open water / ocean swim goals in a fun, safe and supportive environment. We will be providing you with a training schedule and experts give information about nutrition, injury prevention and race strategy, and of course, the work of Can Too Foundation researchers. Do I have to be a swimmer? Most people have an ability to swim but may lack the technical skills and knowledge to give them the confidence to complete an open water or ocean swim. Can Too caters for beginner swimmers and seasoned swimmers. Please keep in mind, the Can Too program isn’t designed to teach people to swim. You need to be able to swim 50m freestyle non-stop. With the help of our qualified coaches and our daily training program, we’ll get you swimming whichever distance you aspire to reach. What stroke do I need to swim? We train you to swim freestyle, providing some stroke correction and tips on your swimming style. If you need to take a break in the water - stop, stand up if shallow, tread water or use the assistance of water safety. Swimming any other stroke can be dangerous to others in the water. We do not train in breaststroke, backstroke etc. Can Too is in a group training environment, the pool sessions follow drills to help with stroke correction and the open water / ocean sessions provide you with tips and training for open water / ocean swimming. If you require one-on-one coaching we recommend you supplement your group Can Too sessions with additional swimming lessons. Ask your Can Too coach or contact your local pool for individual coaching options. What do I need to start the program? Optional: Rash vest or wetsuit for open water swimming. Be able to swim 50m freestyle. Orange Can Too swim cap. For safety reasons you must wear your swim cap at all times when in the pool, surf or open water. No cap, no swim. Your Can Too swimming costume. Please try on for size and ask your Team Captain if you need to swap sizes. Please don’t wear the costume if you intend to change it. Please wear your own costume on the first night. Your cost of pool entry is covered, please let the staff know each week you are with Can Too. One coached hour in the pool, remaining time for Can Too information and fundraising updates. Stroke correction to help you swim like Thorpie! You will be given a 6/8/14 week training program to follow including fitness sessions to do outside of Can Too pool and beach. We usually go for coffee and breakfast afterwards, so bring your wallet! Throughout the remainder of the week follow our at-home session plan for cross training and core strength work to make sure that you have what it takes to reach your goal. It’s that simple! Follow the program for the swim of your life!! Can I wear a wetsuit in the surf? Optional: You can wear a wetsuit during Saturday beach training, but it is important to remember you are usually not allowed to wear them on race day – unless it is really really cold! 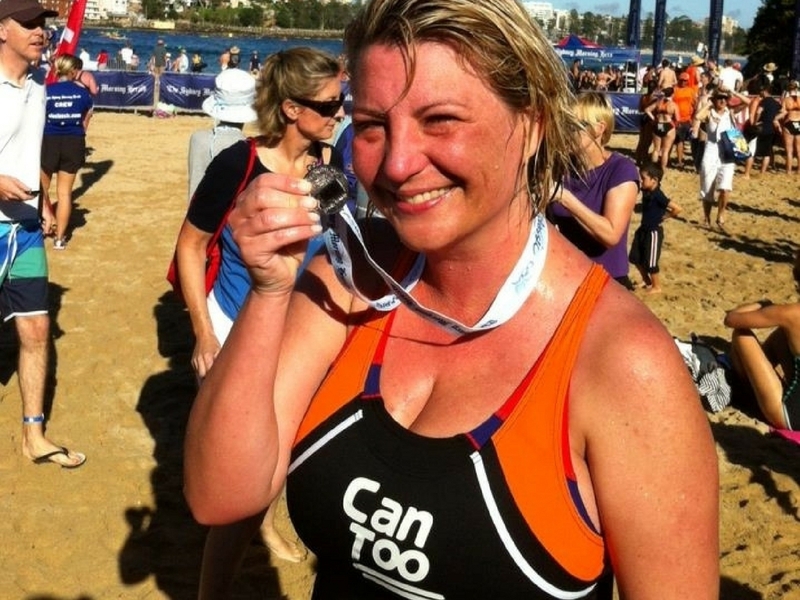 Can Too follows a 6/8/14 week training program with one pool and one beach session per week, culminating in you taking part in your goal open water / ocean swim. During the program you will need to register online and pay for your goal event race entry. But don’t worry just yet! 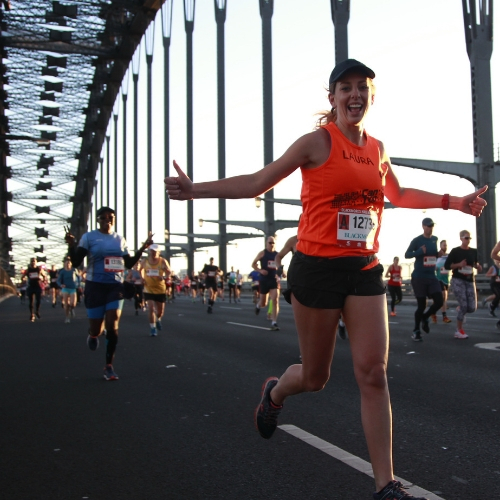 Your Team Captain will talk to you about the race day, so you don’t need to register until the program has started and you’re comfortable with which event and distance you want to complete. You also have your Can Too cossie, so feel free to get together with your Can Too friends and enter any of the amazing swim events during the season and be sure to wear your Can Too cossie with pride! Ask your Team Captain or Coach as they may have advice to give about other swims! Let your Team Captain or Mentor know if you are unable to attend a session. At the start of the program save their phone numbers into your phone and call or text if you are unable to make the beach or pool, giving as much notice as possible. If I can't make my mid-week session, can I go to another pool and join their mid-week session? Or swap beaches? Your safety is of paramount importance to us. We are strictly governed by participant numbers at the pool and beach to comply with coach to participant ratios. Unfortunately you can't swap to different pools or beaches as this will sway our numbers and put out our Coach:Participant safety ratio. If you can't make a session, please speak to your Team Captain and Coach and take their suggestions on how to follow your outside of Can Too 6/8/14 week training program. I’m going away, what if I miss sessions? If you are going away and will miss sessions, please talk to your Team Captain and Coach. Coach will be able to recommend sessions outside of Can Too. Support you to achieve your personal fitness goals. What is the role of the Team Captain? What is the role of the Mentor? Can Too participants have raised over $21 million since we began in 2005, following this model of a training program in return for committing to fundraise for cancer research, it’s very achievable. Your Team Captain and Mentors have all met their fundraising pledges, they are there to help you with your fundraising, offering tips and suggestions. Read our great fundraising booklet full of ideas to help you. We encourage you to start fundraising early in the program so you can get that out the way and then focus on your swimming! Ask you Team Captain and Mentor, they’re there to help you! You have until 30 days after your goal event to complete your fundraising commitment that you agreed to at registration. Can I roll donations over my target into another Can Too program? If you raise over your pledge amount, that money will stay as part of this Can Too program's tally and all go to cancer research. You cannot roll donations you raised above your pledge amount into your next Can Too program. Remember, it's all going to an amazing cause! Contact the Can Too office if you have questions regarding your fundraising. I Referred-A-Friend to join Can Too, how and when is the discount applied? At week four of your program your fundraising commitment will be adjusted to reflect the Refer-A-Friend discount, as a thanks for you introducing new participants to Can Too. Call the Can Too office on 02 9096 3649, email info@cantoo.org.au or comment below.